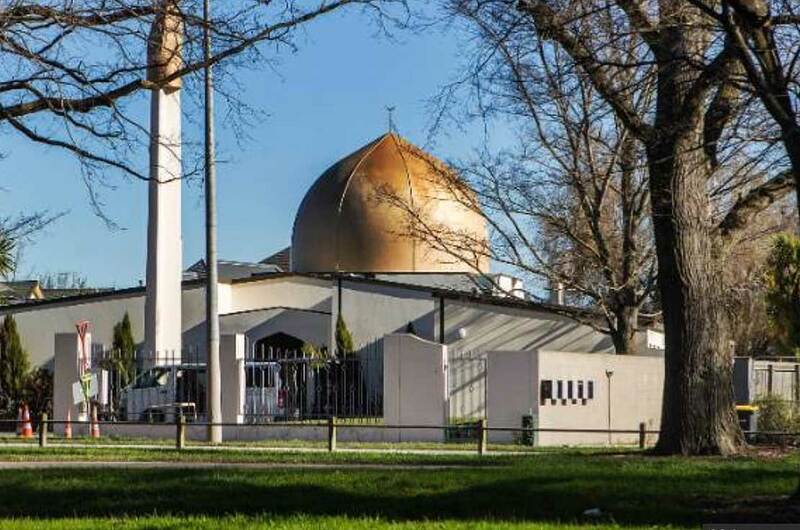 One of the mosques in Christchurch at the centre of killings. The language focused solely on ethnic diversity and did not mention religion or religious diversity. This follows a general trend occurring across the country where religious diversity has been collapsed into broader discussions of bi-culturalism, ethnic diversity and superdiversity. Across New Zealand universities, the study of religion has rapidly fallen into decline. This may be evidence of the decline of the humanities, or perhaps it is an assumption that secularization and the belief that religion is receding in importance becoming a dominant paradigm within our universities and views of New Zealand community? Regardless, the result has been that our university’s lack the expertise to talk to the New Zealand state and citizenry about the contemporary challenges occurring around religious diversity. My argument is that this lack of emphasis on religion is highly problematic for understanding social cohesion and healing after Christchurch. The critical study of the historical, cultural and philosophical dimensions of religions – in schools and universities – counters ignorance and helps to foster tolerance and understanding. My longitudinal research has clearly showed over the last 50 years, that while Christian belief has generally been in decline, the diversity of religious belief has multiplied across New Zealand. Buddhist and Muslim communities have become significant features of our religious landscape and in our cities. These religious communities draw membership from a broad variety of ethnic groups drawn from across South East Asia and the Middle East. Social cohesion and interfaith dialogue across our religious groups does occur but it receives little attention. Data from my 2008 research still underpins the New Zealand Government’s Statement of religious diversity released in 2009. The Statement’s data has not been updated for almost 15 years. The statement of religious diversity acknowledges our nations’ religious diversity and it offers a commitment to New Zealanders, of whatever faith or ethical belief, to feel free to practice their beliefs in peace and within the law and to respect the right of others to do the same. Crucially, the Statement does not set out to manage religious diversity, which is what we see occurring across Europe. It assumes that our communities will live in relative harmony and any minor incidents of disharmony will be addressed through a negotiation of human rights, religious law and cultural tradition.This leads me to ask the questions, have we become complacent about our diversity?Should we reconsider the notion that the academic study of religion was a 19th and 20th century phenomenon? In the Christchurch attack, the unifying target was religion rather than ethnicity. Islamic belief is practiced across ethnic groups and it was this belief of a broad Muslim community that was attacked. This was a far-right terror attack of hate against a religious community that was also tied into broader issues of immigration and racism. Last weekend, I spent two funerary days in the local Cambodian Theravada Buddhist monastery in Wellington. Across New Zealand there are religious communities who are very similar to those in Christchurch and they are very concerned about the consequences for them. Across New Zealand, these multi-cultural and religiously diverse communities will be looking to the state for reassurance and protection of their safety and participation in civil society. Dangerously, the Christchurch attack has two consequences for thinking about religious diversity and the relationships between religious communities and the state. Firstly, State management of religion targets a religious group that represents a set of vulnerable New Zealanders and who have carefully managed their community to not fall prey to Islamic extremism. Secondly, it sets in place a responsibility for the government to consider whether it needs to set in place structures to manage religious diversity more explicitly. If this is the case, New Zealand’s relatively laissez faireapproach of the Statement of Religious Diversity and a lack of sociological focus on religion will no longer be sufficient. When it comes to State management of religion, across Europe we have seen that a lack of careful understanding of religious belief and practice has led to all sorts of problems around isolation, exclusion. This has led to a variety of social challenges and the risk of radicalization –all of which might lead to future forms of social tension and violence. Vital for healing after Christchurch will be a careful engagement with experience of managing religious diversity. It will be necessary to think about social mechanisms of reconciling religious communities to the broader society. Goodwill will need to be fostered in our streets and suburbs. All of our nation’s vibrant population need to feel safe. Our Government will need to be sensitive and nuanced in this religious space. Particularly, our security agencies who will be tasked with increased prevention and surveillance responsibilities after this attack. Inevitably, these agencies will be at the forefront of managing this situation, which is inherently dangerous because it securitizes the management of religion. A key question will be, after the decline of the study of religion in New Zealand, how will we develop a sensitive and informed discussion and language of religious diversity where increased state management and community cohesion can function together to renew our nation as a safe and harmonious place that accepts all people no matter what they belief? Dr William Hoverd is a Senior Lecturer at the Massey University Centre for Defence and Security Studies. A sociologist of religion by training, he is an expert in religious diversity and New Zealand national security. Religious groups or potential terrorists?